This Autumn, Dynasty at the Renaissance Harbour View Hotel is launching a new exclusive menu specially designed to pair with craft beers from Duvel Moortgat. The unique beer-pairing menu is crafted and designed by resident Chinese chef Suen Kam-Sing, demonstrating the rich and diverse flavours and cooking techniques that create the authentic classics the restaurant proudly serves. 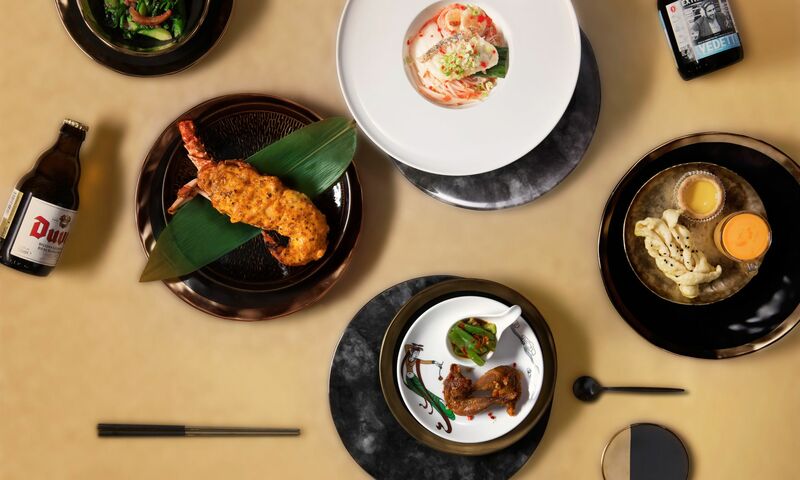 The six-course menu includes signatures such as baked fresh lobster in sea urchin sauce, deep-fried crispy ox ribs and deep fried French quail legs with five spice chilli accompanied with marinated tribute vegetable with chilli peppercorn sesame sauce, all paired with Vedett Extra White, the Belgian brand’s premium wheat beer. The menu also includes dishes best matched with the Duvel, a strong blond beer, such as sautéed kale with dried shrimps and minced pork served in clay pot, poached vermicelli with fillet of garoupa in a choice between hot and spicy soup or preserved egg and coriander in fish broth, followed by the restaurant’s signature dessert platter for a sweet finish. The unique Duvel Moortagt beer pairing menu is priced at HK$688 per person, with a minimum of two persons per table. Reservations are available here.